The Beatles were an English rock band that formed in Liverpool in 1960. 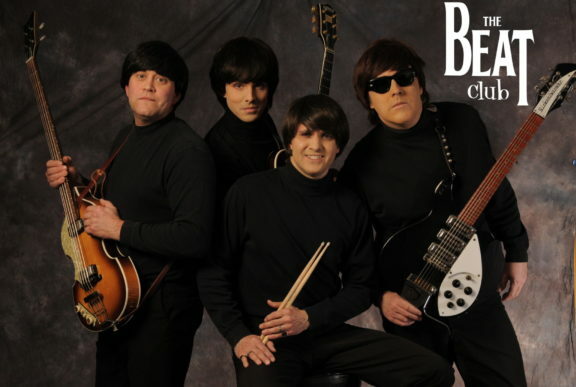 With members John Lennon, Paul McCartney, George Harrison andRingo Starr, they became widely regarded as the greatest and most influential act of the rock era. Rooted in skiffle, beat and 1950s rock and roll, the Beatles later experimented with several genres, ranging from pop ballads and Indian music to psychedelia and hard rock, often incorporating classical elements in innovative ways. In the early 1960s, their enormous popularity first emerged as “Beatlemania“, but as the group’s music grew in sophistication, led by primary songwriters Lennon and McCartney, they came to be perceived as an embodiment of the ideals shared by the era’s sociocultural revolutions. The Beatles built their reputation playing clubs in Liverpool and Hamburg over a three-year period from 1960. Manager Brian Epstein moulded them into a professional act and producer George Martin enhanced their musical potential. 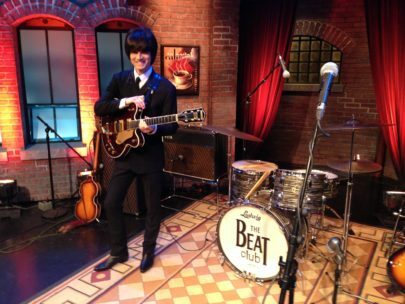 They gained popularity in the United Kingdom after their first hit, “Love Me Do“, in late 1962. 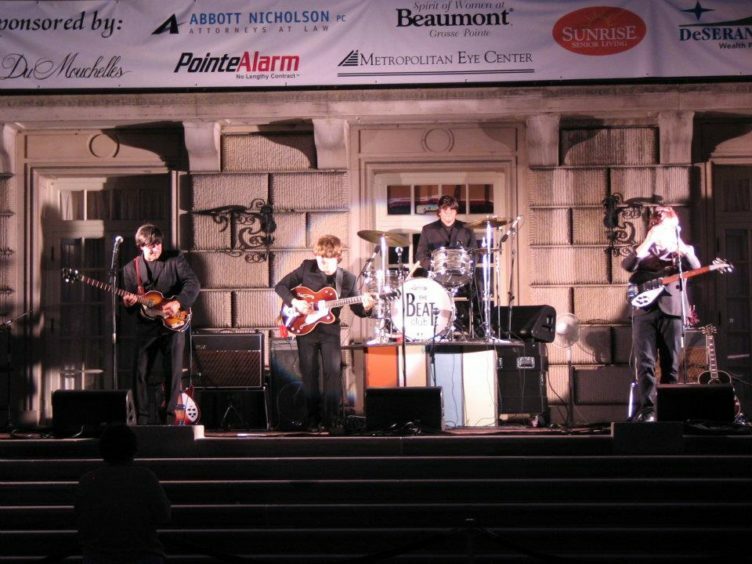 They acquired the nickname “the Fab Four” as Beatlemania grew in Britain over the following year, and by early 1964 they had become international stars, leading the “British Invasion” of the United States pop market. From 1965 onwards, the Beatles produced what many consider their finest material, including the innovative and widely influential albums Rubber Soul (1965), Revolver(1966), Sgt. Pepper’s Lonely Hearts Club Band (1967), The Beatles (commonly known as the White Album, 1968) and Abbey Road (1969). According to the RIAA, the Beatles are the best-selling music artists in the United States, with 178 million certified units. They have had more number-one albums on the British charts and sold more singles in the UK than any other act. In 2008, the group topped Billboard magazine’s list of the all-time most successful “Hot 100” artists; as of 2015, they hold the record for most number-one hits on the Hot 100 chart with twenty. 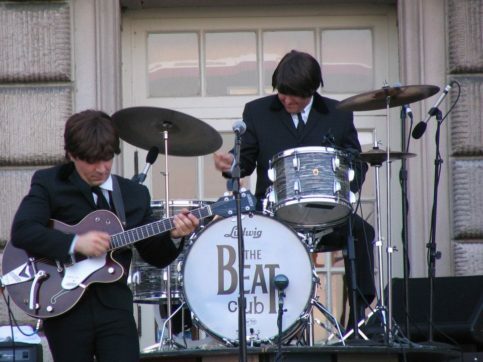 They have received ten Grammy Awards, an Academy Award for Best Original Song Score and fifteen Ivor Novello Awards. Collectively included inTime magazine’s compilation of the twentieth century’s 100 most influential people, they are the best-selling band in history, with estimated sales of over 600 million records worldwide. The group was inducted into the Rock and Roll Hall of Fame in 1988, with all four being inducted. 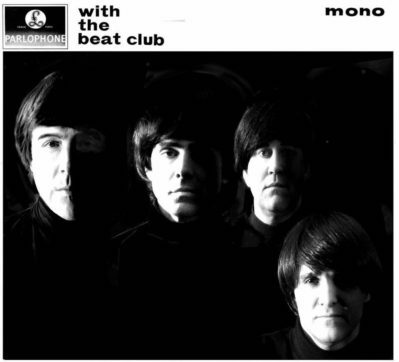 Tributesville presents Beat Club! 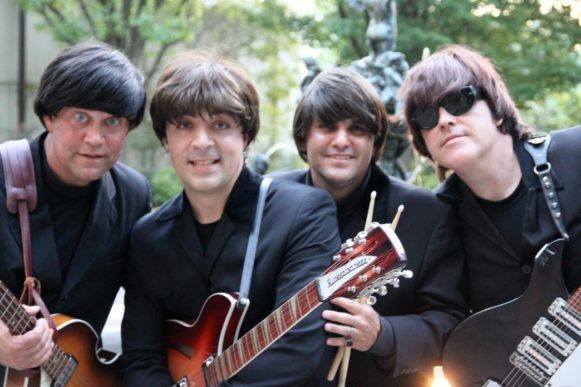 One of the most authentic Beatle-tribute acts in the nation! 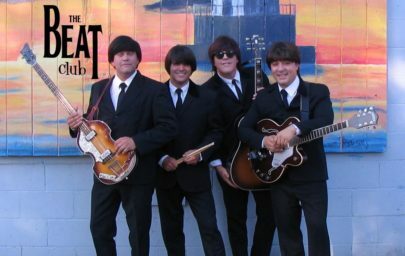 This show has “Beatle” veterans, with ties ranging from double first-place honors at national Beatle-tribute band competitions to performances at the Smithsonian Institution in Washington D.C. “Fly-by-night” tribute bands may come and go, but, since 1996, The Beat Club has set the standard of what a professional Beatles show SHOULD, and what Tributesville audiences will come to expect. 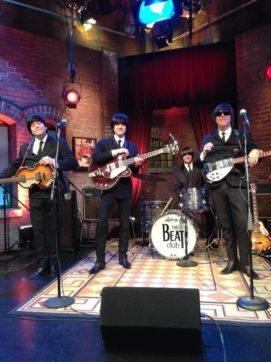 From a naturally left-handed “Paul” to actual 60’s vintage guitars and amps, this talented foursome has the details down cold! These lads have delivered spellbinding performances for many high-profile events across the country, including opening for Mitch Ryder, Randy Bachman and more!